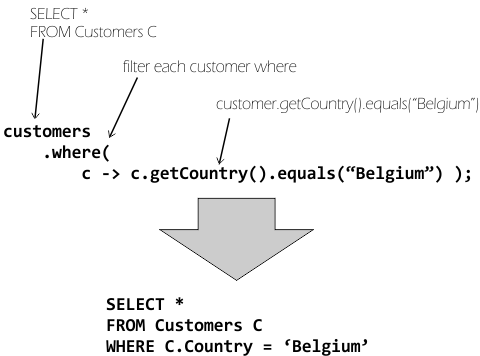 Java 8 Friday – Java, SQL and jOOQ. Junior programmers think concurrency is hard. Experienced programmers think concurrency is easy. Senior programmers think concurrency is hard. java.lang.Thread has been around from the very beginning in JDK 1.0. So has java.lang.Runnable, which is going to be annotated with FunctionalInterface in Java 8. We can then pass this operation to Threads in various ways, e.g. As we’ve mentioned in our previous blog post, it’s a shame that lambda expressions did not find a lean way to work around checked exceptions. None of the newly added functional interfaces in the java.util.function package allow for throwing checked exceptions, leaving the work up to the call-site. Java’s multi-threading APIs had been pretty dormant up until the release of Java 5’s awesome ExecutorService. Managing threads had been a burden, and people needed external libraries or a J2EE / JEE container to manage thread pools. This has gotten a lot easier with Java 5. We can now submit a Runnable or a Callable to an ExecutorService, which manages its own thread-pool. Note, how we again use an UncheckedConsumer from jOOλ to wrap the checked exception thrown from the get() call in a RuntimeException. While it isn’t necessary in this particular case, it’s still interesting to see that the mere calling of parallel() will run the IntStream.max() reduce operation on all available threads of your JDK’s internal ForkJoinPool without you having to worry about the involved ForkJoinTasks. This can be really useful, as not everybody welcomed the JDK 7 ForkJoin API the complexity it has introduced. Read more about Java 8’s parallel streams in this interesting InfoQ article. Parallelism was one of the main driving forces behind the new Streams API. Being able to just set a flag called parallel() on a Stream is marvellous in many situations. In the last example, we’ve seen the OptionalInt.ifPresent() method that takes an IntConsumer argument to be executed if the previous reduce operation succeeded. Other languages such as Scala have known an “Option” type to improve NULL handling. We’ve blogged about Optional before, and we’ll reiterate the Java 8 Optional type in the context of Java 8 Streams, so stay tuned! For backwards-compatibility reasons, all new methods added to Java interfaces are in fact default methods. So we have a couple of exciting new additions! Often, we fetch a value from a map, make some calculations on it and put it back into the map. This can be verbose and hard to get right if concurrency is involved. With Java 8, we can pass a BiFunction to the new compute(), computeIfAbsent(), or computeIfPresent() methods and have the Map implementation handle the semantics of replacing a value. // Unfortunately, still no map literals in Java 8.. The entire method invocation is performed atomically. Some attempted update operations on this map by other threads may be blocked while computation is in progress, so the computation should be short and simple, and must not attempt to update any other mappings of this Map. If the specified key is not already associated with a value or is associated with null, associates it with the given value. 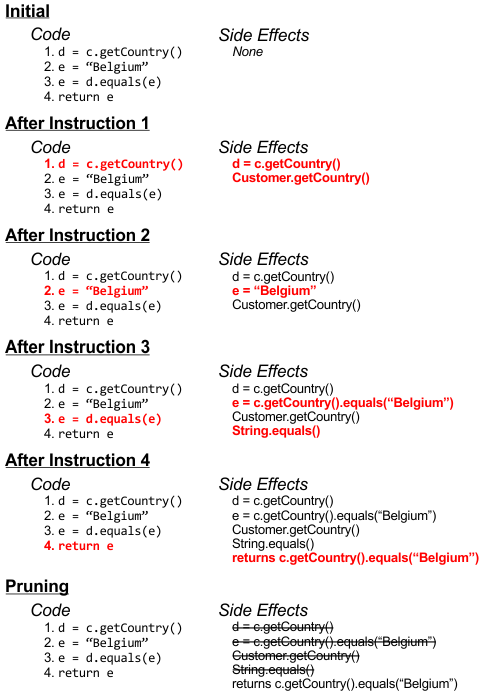 Otherwise, replaces the value with the results of the given remapping function, or removes if the result is null. This merge() operation has thus removed a value from the map. That’s probably OK because the semantics of “merge” is often a combination of INSERT, UPDATE, and DELETE if we’re using SQL-speak. And a somewhat reasonable way to indicate that a value should be removed is to return null from such a function. But the map is allowed to contain null values, which can never be inserted into the map using merge(). This is a no-brainer. Right? Right! Wrong! That’s quite a bummer. In general, it can be said the Map API has become even more complex with respect to nulls. There are a few more methods, like putIfAbsent() (pulled up from ConcurrentHashMap, remove() (with key and value arguments), replace(). All in all, it can be said that a lot of atomic operations have made it to the top-level Map API, which is good. But then again, the pre-existing confusion related to the semantics of null in maps has deepened. The terminologies “present” vs. “absent”, “contains”, “default” don’t necessarily help clarifying these things, which is surprisingly against the rules of keeping an API consistent and most importantly, regular. Thus as a consumer of this API, ideally, you should keep null out of maps, both as keys and as values! Next week in this blog series, we’re going to look at how Java 8 will allow you to define local transactional scope very easily, so stay tuned!